A driver attempted to speed away from police during a traffic stop on Music Row in Nashville. Police were trying to pull the driver over for a traffic violation when the driver attempted to evade the officer and wound up crashing into another vehicle. The collision occurred at Edgehill Avenue and 17th Avenue South, according to WSMV.com. Four people were seriously injured in the crash and it is likely that at least of the victims may lose their life from this collision. A woman who was a passenger in the at-fault driver’s vehicle is being treated or life-threatening injuries at Vanderbilt University Medical Center. The driver who attempted to flee reportedly had an outstanding warrant and police discovered drugs in the car. If you were injured in an auto accident, including passengers in vehicles involved in accidents, take the time to sit down and speak with an experienced Nashville personal injury lawyer to discuss your legal options. Filing a personal injury claim enables you to pursue economic and non-economic damages in an attempt to make you whole. These damages include medical expenses incurred from the accident, future medical expenses, lost wages, and pain and suffering. In order to meet these legal requirements, you need an lawyer who is ready and able to gather necessary evidence such as accident reports, eyewitness testimony, accident scene photographs, etc. and present them in a compelling and persuasive fashion. This is oftentimes a time-consuming and complex process which, again, is why retaining an lawyer is a wise decision. You only have a finite period of time to file a lawsuit against the reckless driver. Under Tennessee Code § 28-3-104, an injured party must file a lawsuit within one year from the date of the accident. This is known as the statute of limitations. As you can see, you do not have much time so swift action is important. Contacting a lawyer sooner rather than later also makes sense in order to collect and preserve important evidence. 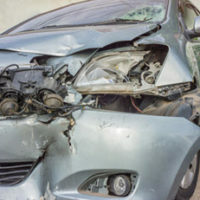 If you or a loved one was injured in an auto accident, let the experienced Nashville personal injury lawyers at Calhoun Law, PLC fight for you. We work tirelessly to get maximum compensation for our clients. Contact our office to schedule a free and confidential consultation of your case.